One morning, Granny Square was out of sorts. Purl climbed up and examined Granny Square’s hair. Then she began to laugh too. “Knit is right,” she said. “I think you’d better look in the mirror”. Granny Square went to look in the mirror and guess what she saw. A large tear rolled down Ophelia’s beak. “My wing is torn and I can’t fly,” she sobbed. “That’s easily mended,” said Granny Square. 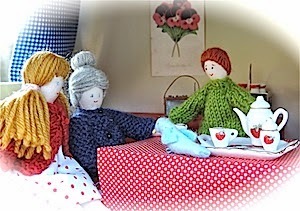 She lifted Ophelia down and placed her gently on the table and then she asked Purl to make the little bird a slice of toast and marmalade, whilst she knitted her a new wing. …and in almost no time at all, Granny Square had finished. Granny Square thought Ophelia would be too late to reach Santa Claus by Christmas and she didn’t like to think of her flying all that way by herself so Ophelia stayed with Granny Square and, all Winter long, Granny Square slept like a log and woke up to the sweet sound of at Ophelia singing. 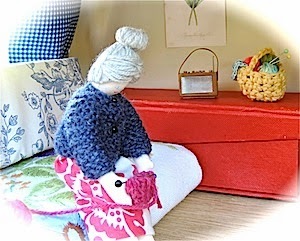 “This is a delightful way to wake up,” said Granny Square and she threw away her horrible, jangly alarm clock. Christmas came and went. Spring woke up the flowers. Everything started to grow beautifully and the days grew longer and warmer and everyone in Woolton was happy. 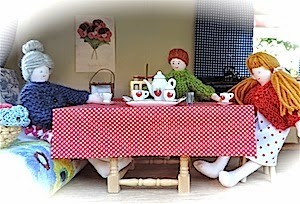 For some reason, as Midsummer approached, Granny Square was getting more and more cross and irritable. 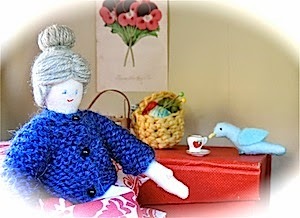 She started to doze off whilst she was knitting in the afternoons and she began losing count of her stitches. 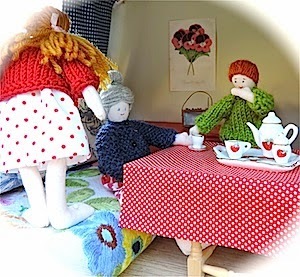 She grumbled about Knit trailing mud through the caravan and snapped at Purl for letting her dinner go cold. 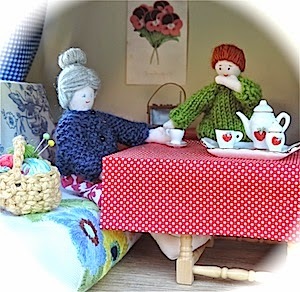 Knit and Purl began to feel fed up of visiting such a grumpy old woman and one evening, when Granny Square had been extra grumbly about everything all day, she heard Knit and Purl grumbling about her. “I think she must have got of the wrong side of her bed this morning,” said Purl. And Granny Square began to ponder…there was only one side of the bed she could get out of but it was such a long, long time ago. And then she realised what was the matter! 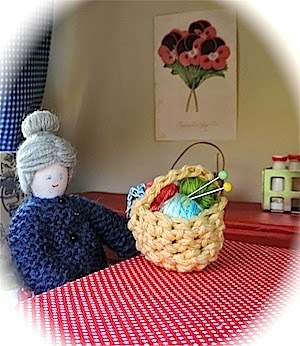 Although she could barely keep her eyes open, Granny Square picked up her needles and started to knit. Clicketty, click, clicketty click went the needles and soon she had finished. Now, Ophelia sleeps in her new nest in a tree in the garden and when the sun is rising, you can see her singing her heart out on Granny Square’s roof. 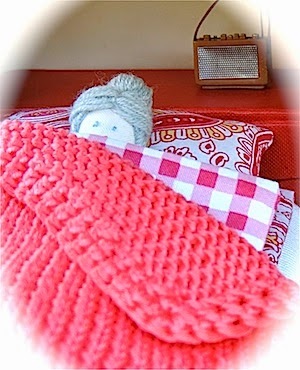 But Granny Square is still happily tucked up in bed snoring. 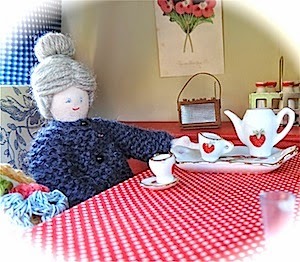 And at eight o’clock every morning Ophelia flies into Granny Square’s bedroom with a cup of tea and wakes her up with a beautiful song. Granny Square’s hair has never quite recovered but she never grumbles anymore. And thank you very much for visiting Rainbow Hare for A Summer Story. I am planning a monthly series around these characters on 21st of each month. 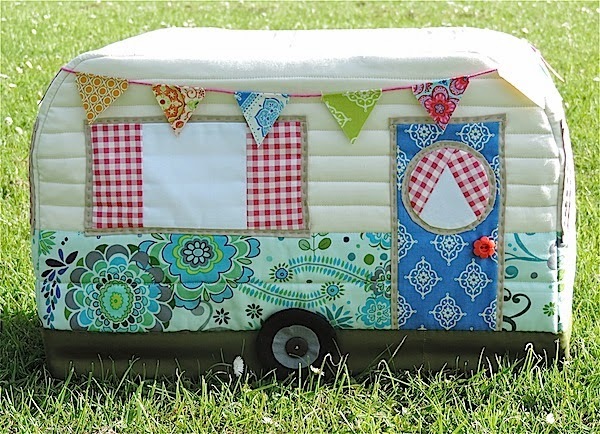 This will include occasional stories and some tutorials and patterns for toys, games and household objects – some free and some in my etsy shop. This month I am making a pattern for a cushion/softie/pyjama case version of Ophelia. When it is ready, I will get Mr Random to select three people from any comments on this post and send them a free copy. 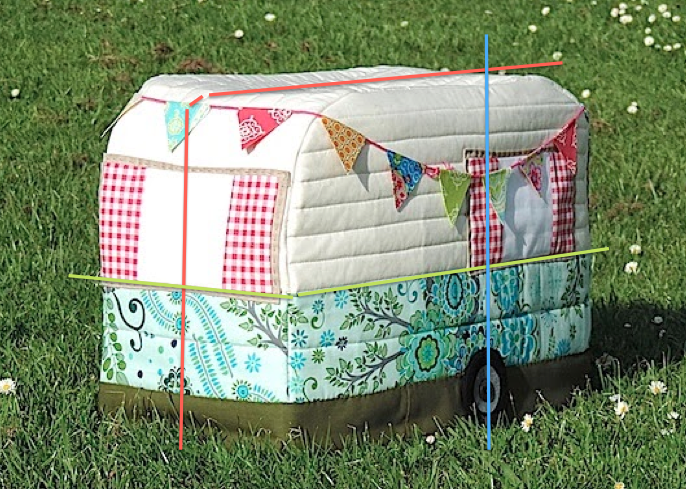 Soon I will make a ‘Granny Square’ page and, hopefully bring better organisation to bear! WIP Wednesday (because the Ophelia pattern is still in progress). 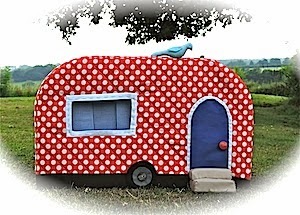 TGIFF which is over at QUOKKA QUILTS this week (because there are a LOT of sewing finishes in this). You are a great story teller Janine! More please! Oh Janine, that was wonderful! I wish I had grandchildren to share it with! I love the props! If you ever need anything specific give me a shout, I have a dolls house and lots of stuff! *was smashing, I really should read before posting! Oh my goodness, what a lot of work that all was!! i'm tired (and awed) just thinking about it! well done! I had a smile on my face the whole way through :) I look forward to future adventures. Hi Janine, this is a really charming post! Love Love!!! Thank you so much for your sweet story. 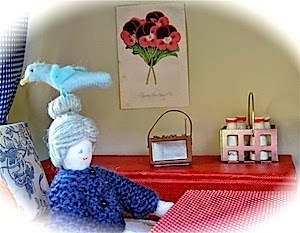 I love Granny Square, Knit and Purl. I look forward to more stories. Wow Janine! You have so many gifts, sewing, knitting, crocheting and story telling, I was really engrossed by your story and will look forward to reading more, it was great. I love the character names as well, they did make me smile. Really, really great. Such a cute story! I love it. I have Granny Square's problem, except this bird sounds like a car alarm and sits on our guttering every morning from about 3.30am >:( With Hank waking up with the sunrise too I am actually looking forward to the darker mornings (never thought I would say that)! Another wonderful story. Thank you sew much. I love these. That was a nice story. I was a bit worried that granny will pass away. 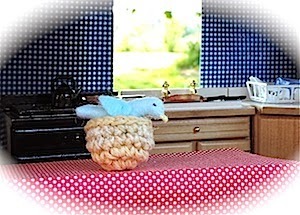 I'm glad you included happy end :-) I like tiny details like knitting basket and others! This is an adorable story. I loved it. I agree, you should publish a children's book. I read this while scrolling through Bloglovin waiting for my daughter's Kindergarten class' year end recital. Now I'm going to read it to her for bedtime. :) Thank you. Loved it! loved the characters, the stoy and the photos! Publish it for children? What a sweet story! Thank you, looking forward to the next story! I Loved this! keep it up! 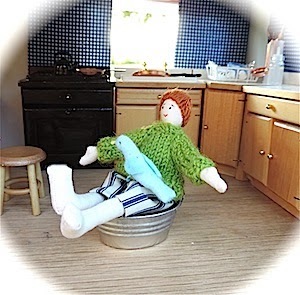 When I read “After she had had finished her toast, Knit played boats with Ophelia in the wash tub…” … I actually – literally – laughed out loud, LOL!!! 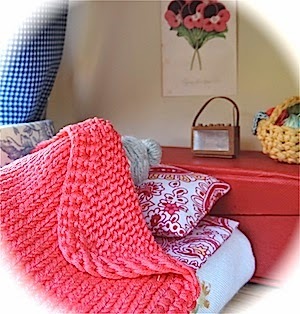 Somehow, in my mind, the solution to Granny Square being such an old grump in her bed, was that she was going to wake up and find a Grampy Square beside her – maybe one day, LOL! Haha!! THat was so funny. :D LOVE the dolls and playset! I am in love with this great little family! Your stories are always so much fun. I see a child's book series in your future. The props are so perfect. Thank you!! I loved this story!!! Thank you!